Progress Lighting AirPro Collection Universal fan light kit includes four 40-Watt incandescent bulbs. The bulb is voltage rated for 120-Volts and fits candelabra socket. 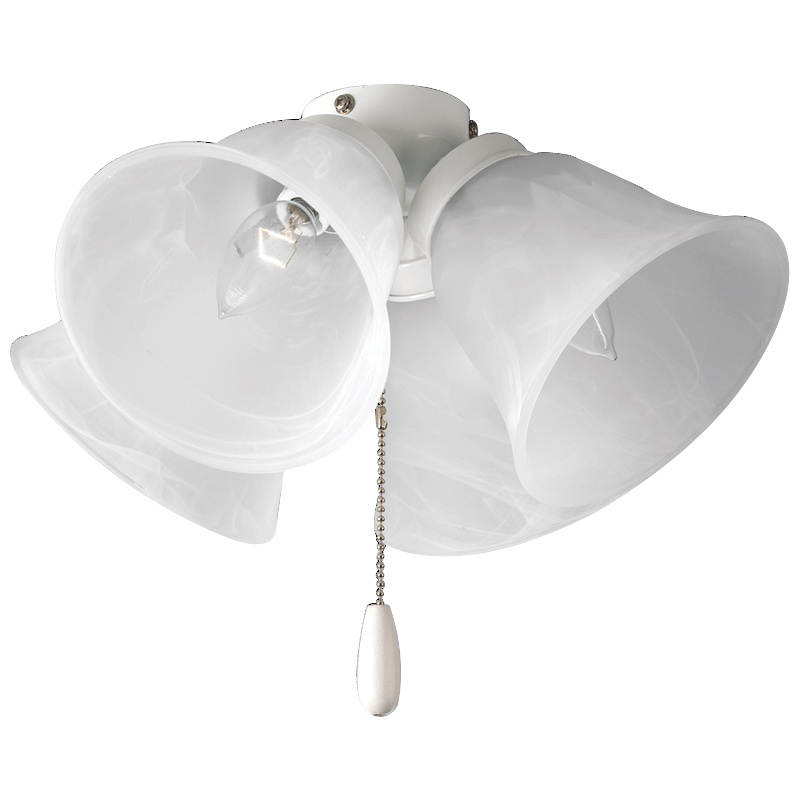 The bulb in white color, has 13-5/8-Inch Dia x 7-3/4-Inch alabaster glass shade. This kit is ideal for use with indoor fan with 1/8-Inch IPS light kit adapter. Fan light kit is UL/cUL listed.